Widow Clemmens is struck down in her parlor while the town’s legal professionals chat outside the courthouse down the street. An investigation is made and two equally plausible suspects are quickly unearthed. But is either guilty? And what role does the mysterious Miss Imogene Dare play in this drama? 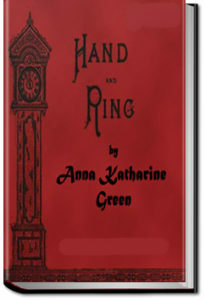 A classic Green mystery notable particularly for the extended courtroom scenes in the second half of the book. This entry was posted in Reading on December 30, 2017 by all-you-can-books.